Cricket Supreme is a freeware program for DOS by Rob Alexender Oudhof. Rob wrote Cricket Supreme in Pascal as a school project. He was not originally going to release the game to anyone else. 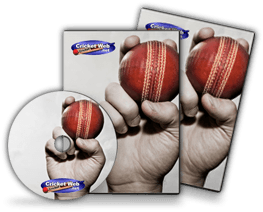 After seeing Jeff & Paul’s Cricket 2 that was also written in Pascal he then contacted me and said he wanted to release it as he felt Cricket Supreme was a better game. How would you rate Cricket Supreme?